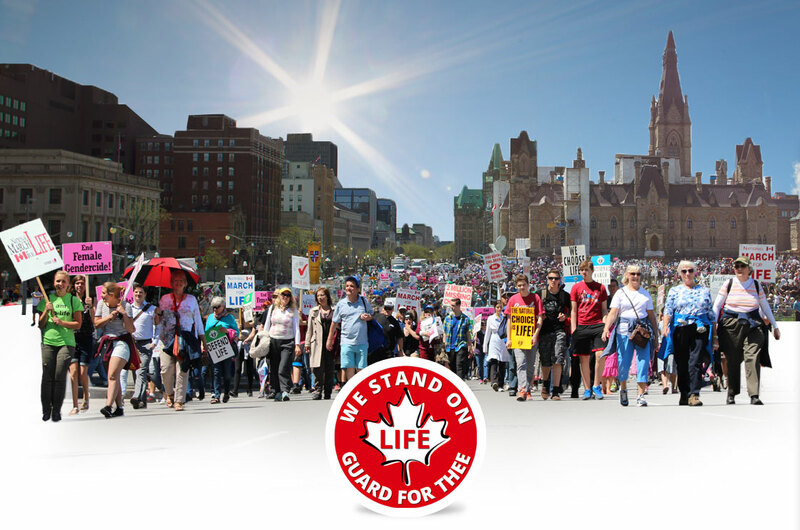 Sign the pledge below to commit to standing on guard for life during this 150th milestone year of Canada's birthday. Help us reach a target of 50,000+ signatures to show politicians and the media, that the pro-life generation is alive and well, and that we will not be ignored anymore! After signing the pledge, we'll create a customized electronic postcard that you can send your MP, inviting them to attend the March For Life. If your MP is pro-life, it'll encourage them. If your MP is pro-abortion, it'll educate them on the issues and show that constituents care. After signing, you'll be given the opportunity to help us smash attendance records at the 2017 March For life, by helping you engage with concrete actions. As we approach Canada’s 150th birthday this year, I will stand up for human life from the time of conception until natural death. At a time when we’ll be focusing on the achievements of our nation, abortion casts a shadow over that celebration. It diminishes Canada’s ability to boast of greatness, because it diminishes our citizenry at the rate of 100,000 preborn children annually, whose lives are ended by abortion. On the eve of Canada’s 150th birthday, I pledge to do my small part to promote preborn human rights, including by praying for the success of the National March For Life in Ottawa on May 11, 2017. LIFE, I stand on guard for thee!